On Saturday night, lineal light heavyweight champion Sergey Kovalev (30-0-1, 26 KO’s) and former super middleweight champion Andre Ward (30-0, 15 KO’s) will meet inside of the T-Mobile Arena in an HBO pay per view attraction. 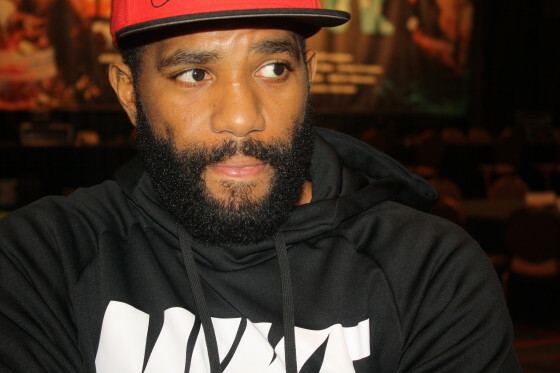 On the undercard, middleweight contender Curtis “Cerebral Assassin” Stevens (28-5, 21 KO’s) will face off with upset-minded James De La Rosa (23-4, 13 KO’s). In his last match, this past May 7 on the Amir Khan vs. Canelo Alvarez undercard, Stevens stopped previously unbeaten Patrick Teixeira (26-1, 22 KO’s) in devastating fashion. 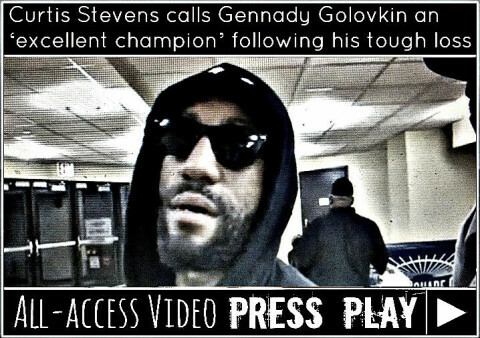 Following his 8th round TKO loss to Gennady Golovkin on Nov. 2, middleweight contender Curtis Stevens spoke on his loss in his bid for the WBA title. Hear what he had to say.